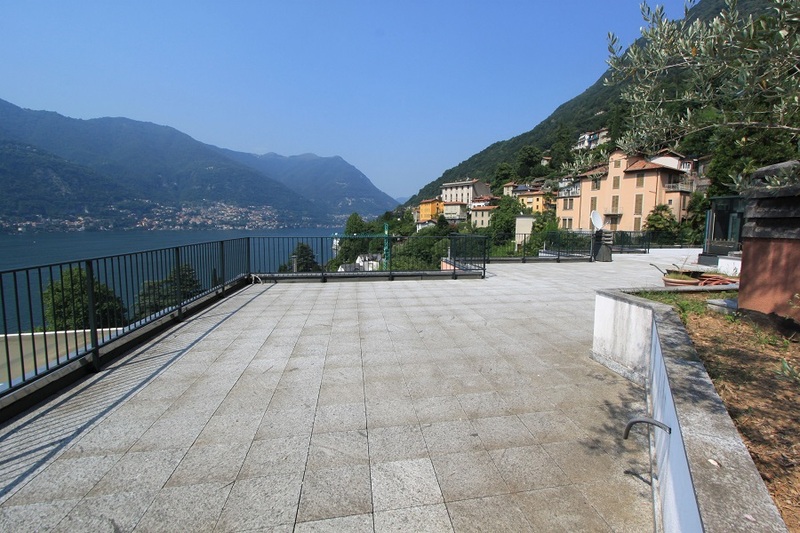 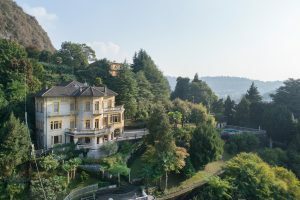 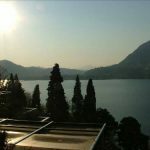 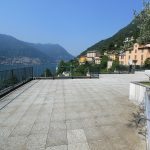 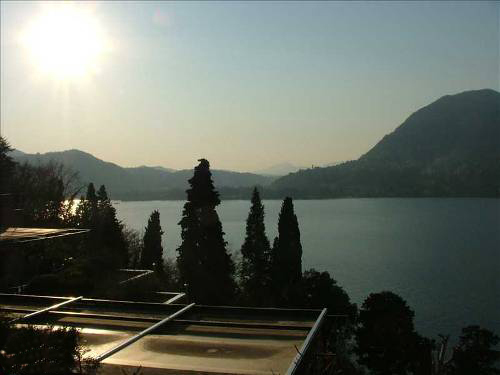 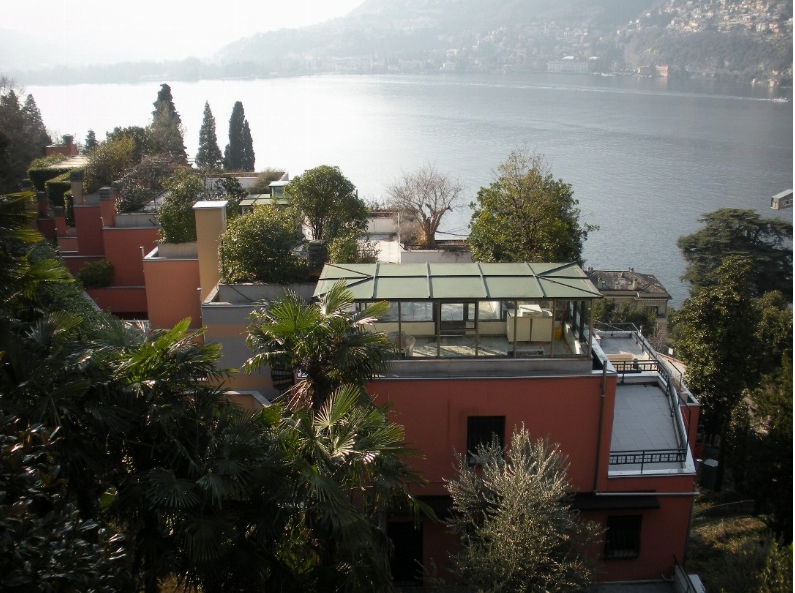 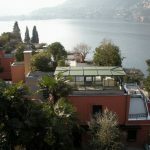 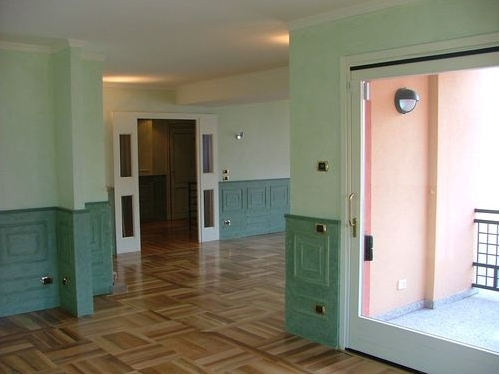 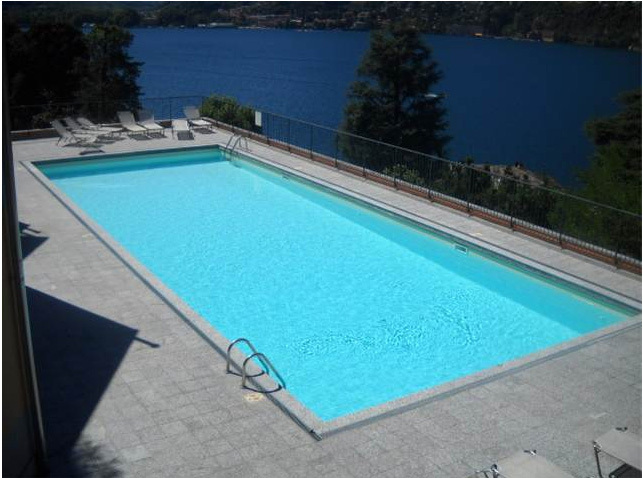 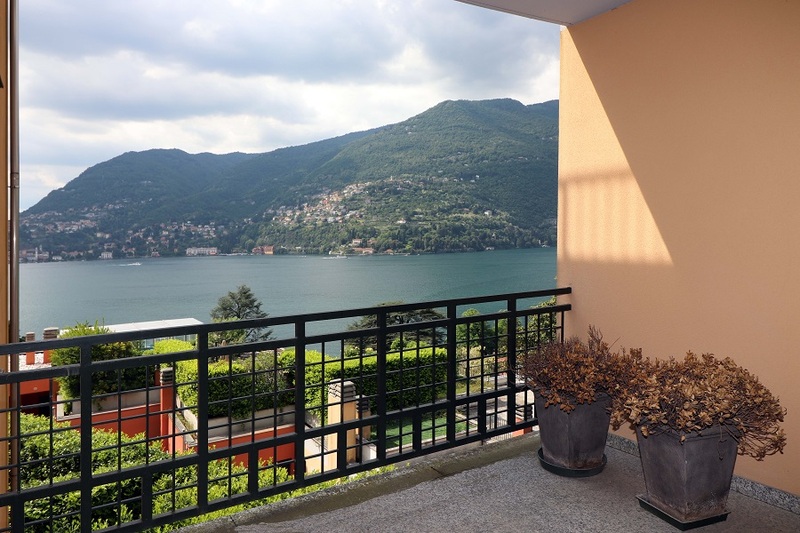 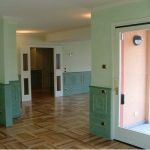 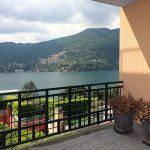 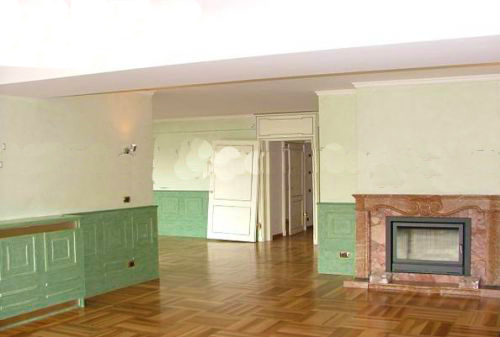 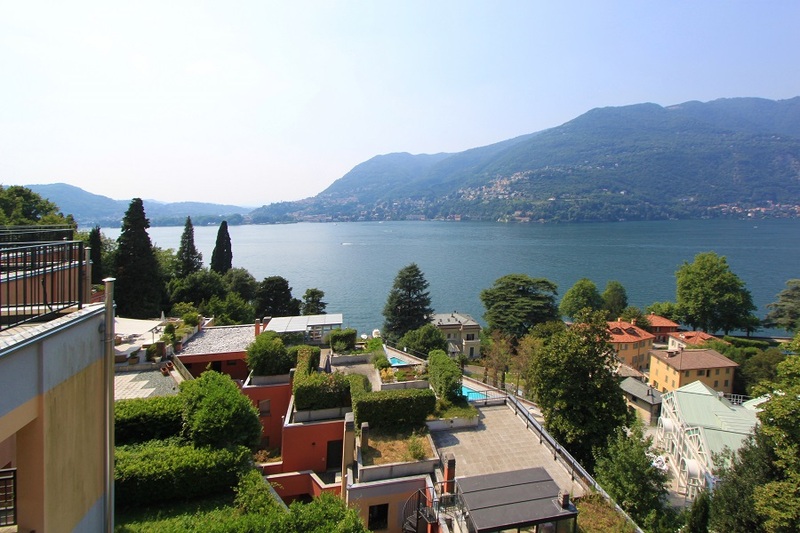 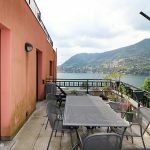 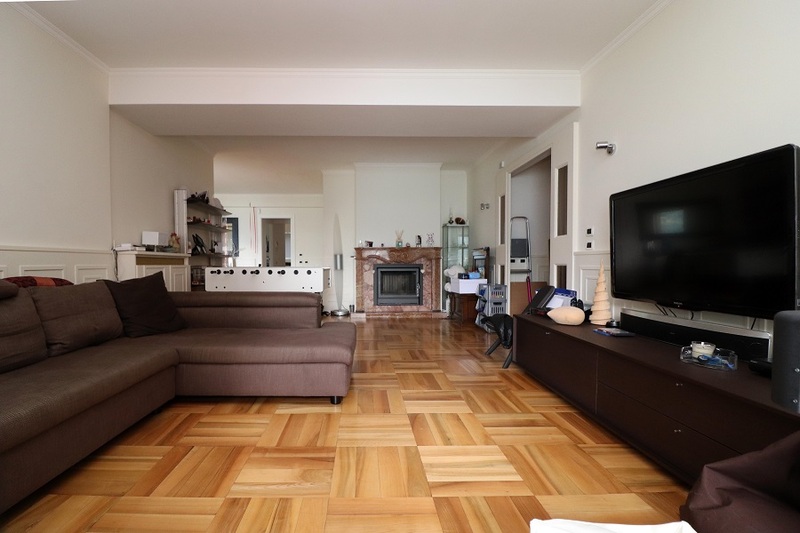 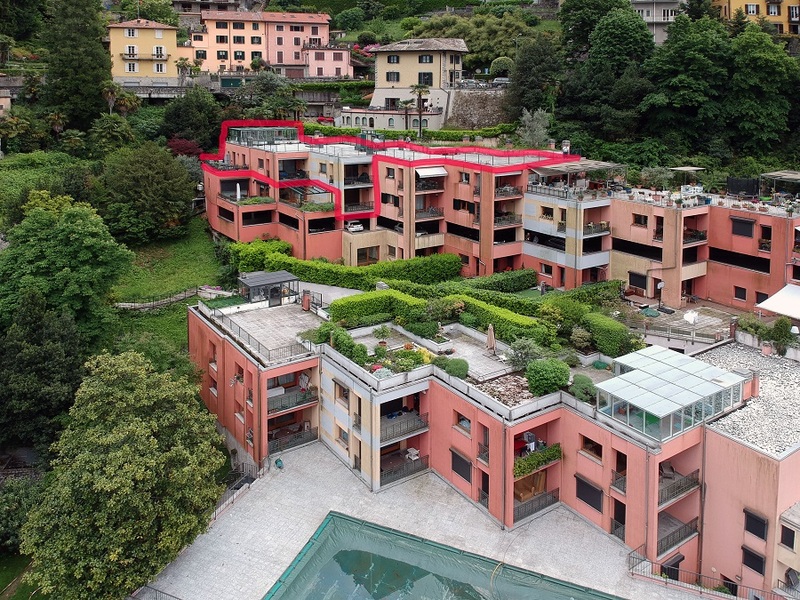 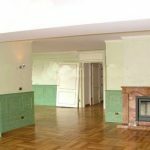 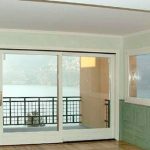 HUGE DUPLEX APARTMENT with a stunning COMO LAKE Panorama To sell. 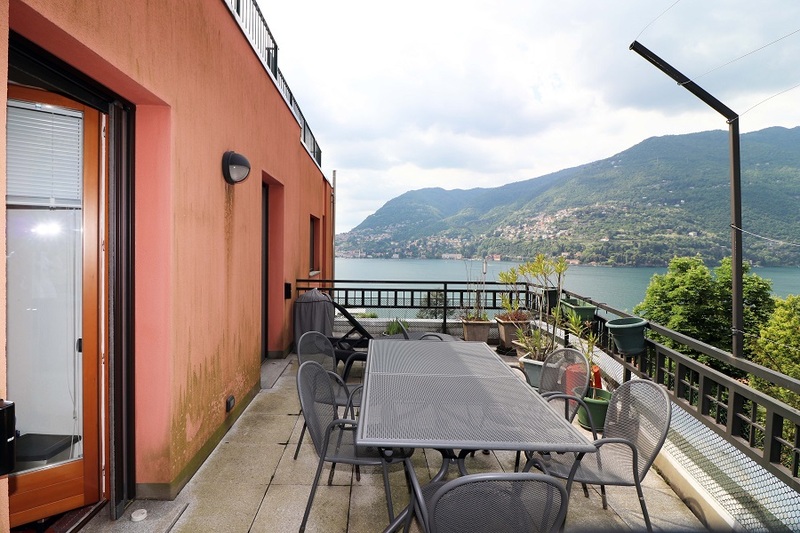 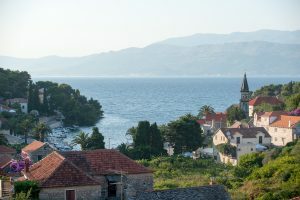 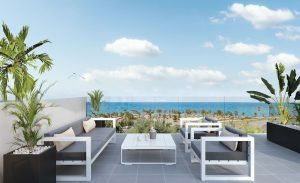 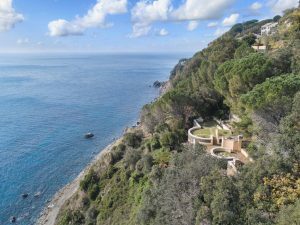 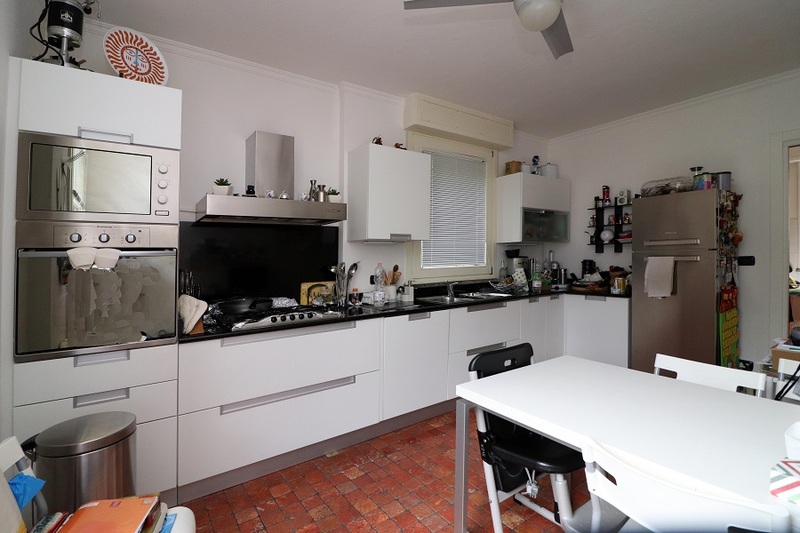 In size, the flat measures 230 m² PLUS a large roof terrace of 250 m² with great LAKE VIEWS. 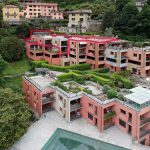 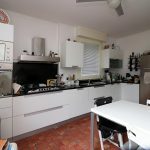 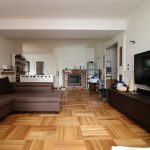 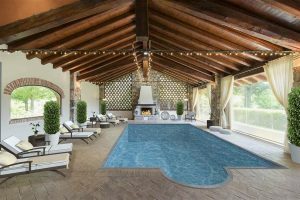 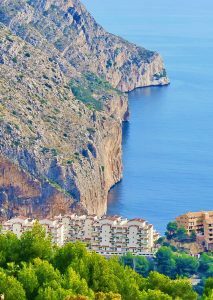 Set in a residential complex, just few minutes from Como. 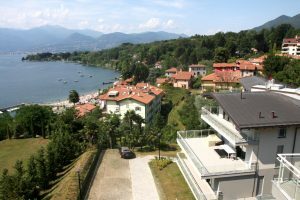 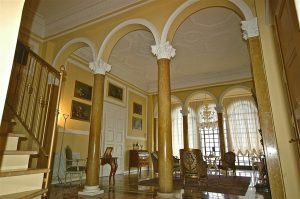 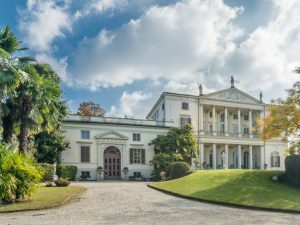 The property consists of ground floor: entrance hall, large living room with two loggias and an unimpeded lake view, dining room, kitchen with terrace, study, a double bedroom with bathroom, huge technical room / laundry room adjacent to the kitchen and bathroom. 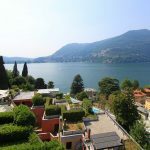 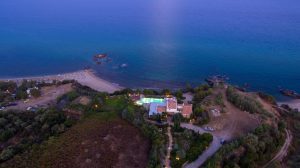 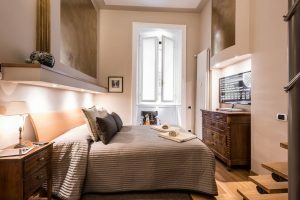 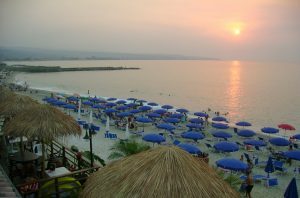 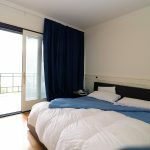 First floor: two bedrooms (master bedroom with private bathroom) and loggia overlooking the lake, single bedroom and bathroom. 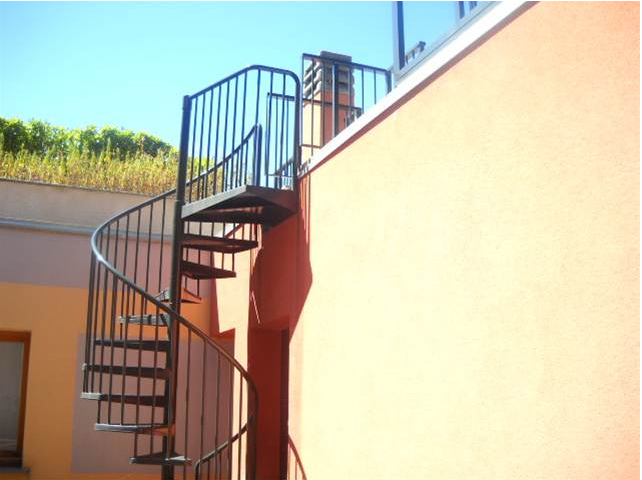 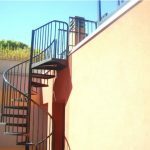 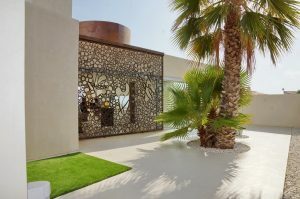 The roof terrace, is accessible by a spiral staircase or via an internal lift that connects the three floors. 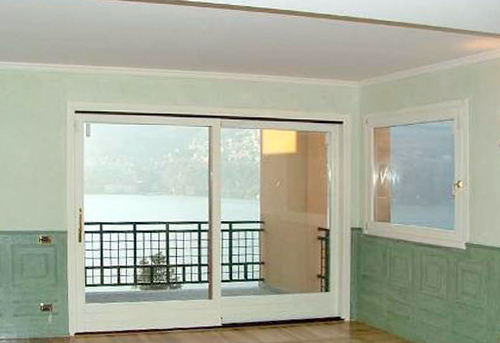 On the 250 sq. 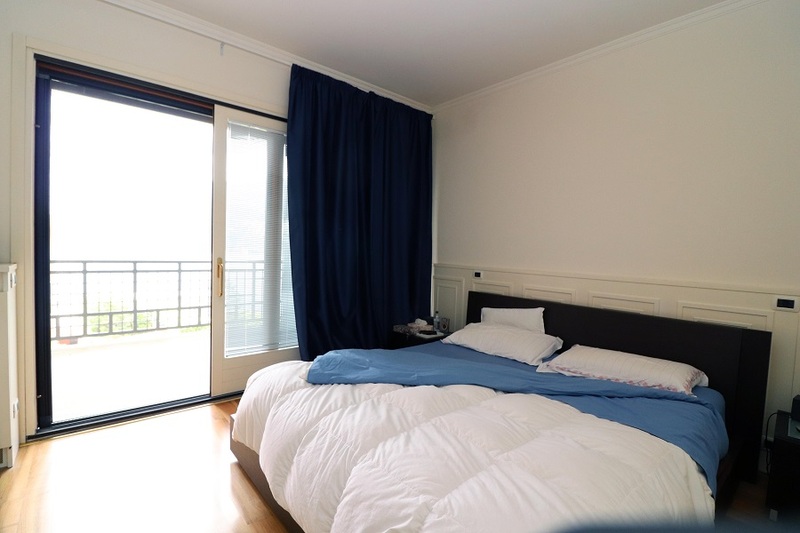 meter roof terrace, there is also an air-conditioned glazed room equipped with many amenities. 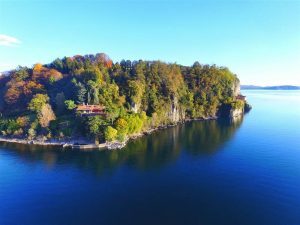 At only 200 meters on foot, through a public grove of trees, we arrive at a PRIVATE PIER and BOAT BERTH. 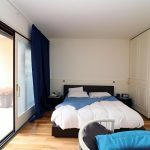 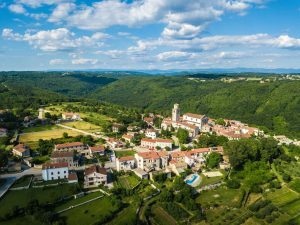 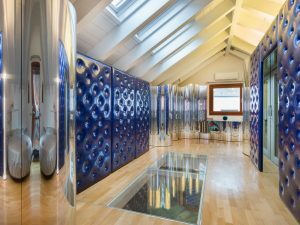 The property also consists of a triple garage plus two covered parking spaces, There is a lift from the garage to the apartment and cellar. 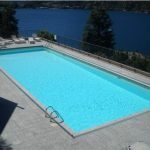 The complex includes a large condominium swimming pool.